Dell Inspiron 15 Intel (N5010) Battery is Plugged in but not charging. I just replaced my old charger with a new one (because the old one was broken). 2-3 weeks i was using different version of the charger and i got message that my laptop wont work perfectly and the battery will not charge. NOW when i got the original charger everything works fine but the battery still wont charge. I got this Warning: the battery is not recommended for this system, the system will be unable to charge this battery. I tried to update the BIOS but to do this, the battery must be >10% , my battery is at 0%. RE: Dell Inspiron 15 Intel (N5010) Battery is Plugged in but not charging. 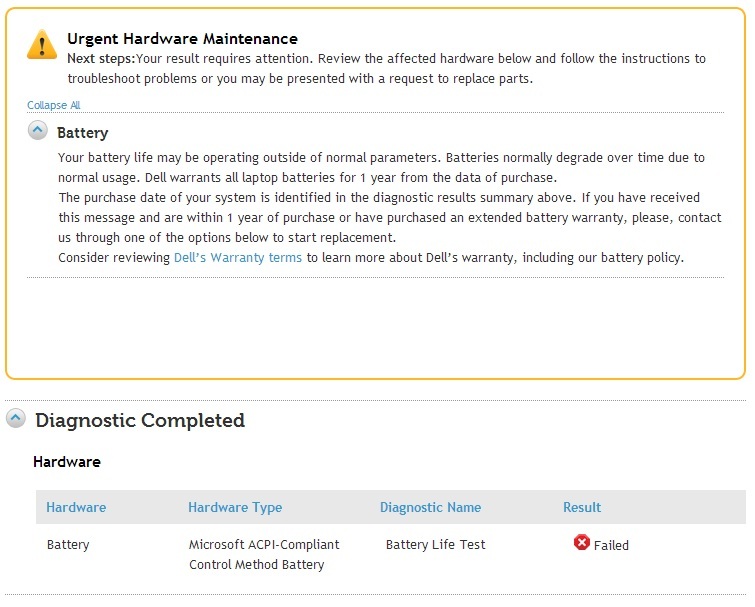 Please follow the steps mentioned below to check if the adapter is detected properly. 5. If the Adapter Type says Unknown or None with the adapter plugged in. 6. Reconnect the adapter to the machine and if the status now shows as Unknown then please update the BIOS again on the system. 7. Also, please check for Battery Health status in the BIOS. The adapter Type in BIOS is: 90W. I can't update BIOS because my battery is about 0%. Also, how to check the Battery Health? It looks like it’s an issue with the battery on the system. I would suggest you to run the test on Battery on the system. 5. Let me know if the results. It looks like the Battery Life Test has Failed. Please consider replacing the battery on your system to fix the issue. I was having the same issue with my Inspiron N5010 "plugged in not charging" wouldn't update the BIOS because of the 0% battery. Tried 2 different chargers and 3 different batteries I had. I went into the BIOS and under the Advanced tab there was an option for "Charger Behavior". That was disabled. I set it to enable, rebooted and now the battery is charging. When the LED on the adapter goes out when you connect the system end, it means the mainboard is bad. I have a similar issue that I can't get my head around. I have a Dell Inspiron N5010 with a genuine charger, and genuine battery. When I plug in the charger it is charging, at least the windows says that it is charging, but the battery percent is not going over 0% at all. I had it plugged in for a whole night and it still says 0%, and charging. I have run the diagnostics on it, and the battery has passed. Bios is checked to be able to charge.